Bret Kuether, assistant vice president of Associated Bank in Manitowoc, teamed up with Franklin Elementary School’s principal, Keith Wakeman, and art teacher, Andrea Ortega, to teach 90 first graders the importance of saving money at an early age. Kuether gave Franklin Elementary approximately 100 Associated Bank piggy banks for the children to decorate. He visited the school twice a week to talk with the children about why it is important to save money, and also discussed how they could add to their saved money by putting away a certain amount each week if they wanted to work towards a goal. 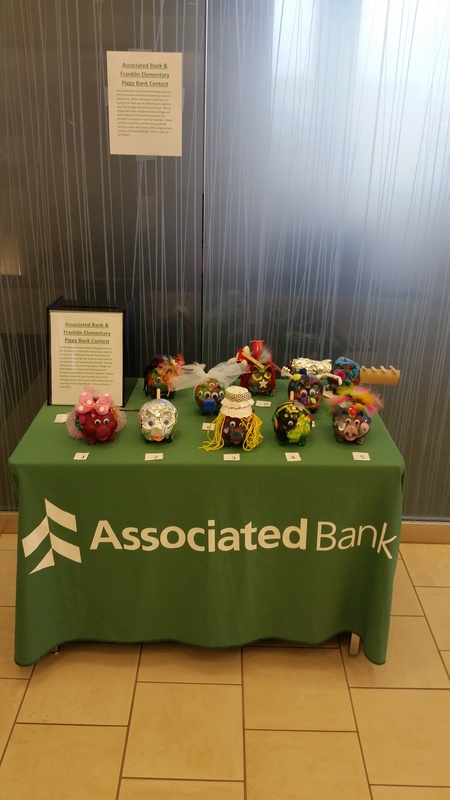 The top ten piggy banks will be on display at the Associated Bank branch in Franklin now until Friday, March 20. Parents, teachers and customers are encouraged to vote on their favorite piggy bank. The winning child will receive a savings account funded with $50 from Associated Bank.